Last week I ran across a book on my shelf I’ve been meaning to read for a while. It’s about a storied London restaurant that saw the toast of the town reign at its tables for nearly 100 years. 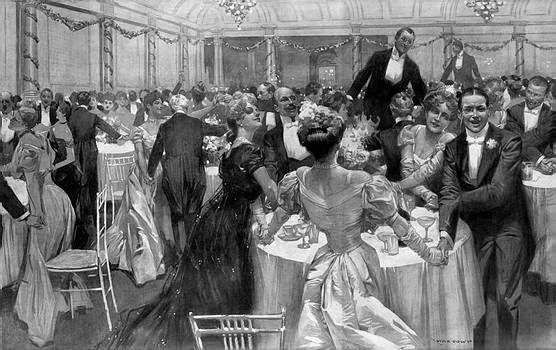 Fame’s heady vapors gilded the atmosphere of many 19th and 20th century establishments –– it is no wonder that so many dishes have been named after the glorious patrons who provided the glow (and free press). Association with such luminaries gave the restaurants something to crow about and kept their rooms full of happy gawking patrons. Sadly naming dishes has gone out of fashion. 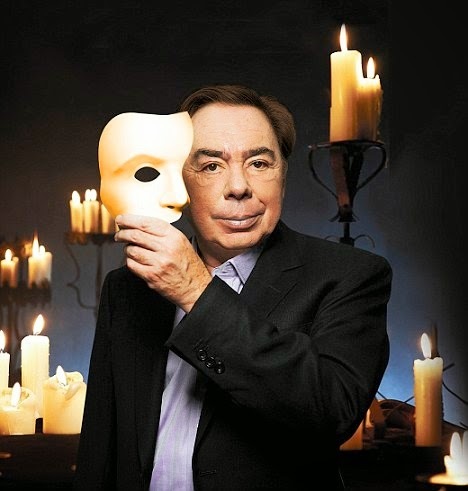 Can you imagine Sole Streep (a multi-national dish as a nod to her facility with accents) or Lobster Lloyd Webber (a Phantom of the Opera lobster with a white truffle mask)? It got me to thinking it might be fun to take a look at some of the dishes on old menus that were named after famous artists, actors, generals, royalty –– even horses. Thing is, I have often complained that the recipes of the named dishes were mostly lost, what occurred to me is that so many of the famous names are just as meaningless today. Who was the Anna in Pommes Anna or the Tetrazzini in Chicken Tetrazzini (a famous courtesan and a famous singer)? It’s like the dishes are doubly forgotten. So, I thought I would start a little series exploring the dishes and the people they were named after. The What's in a Name series begins here. One of the things I found amusing was that even chefs like Escoffier double dipped with their named recipes. When I saw the ingredients for Sole Waleska it struck a bit of a chord. Sure enough, Sole Verdi is pretty much Sole Waleska with pasta. I guess a lobster, truffles and cheese sauce combination reminded Escoffier of famous composers and infamous countesses. First things first –– who was Waleska? 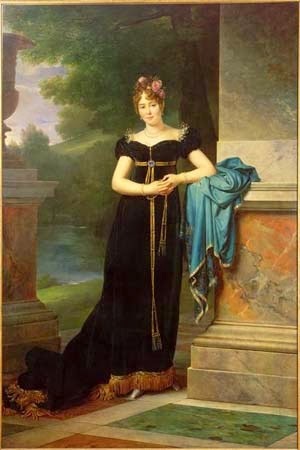 Marie Waleska was known for one thing, she was the mistress of Napoleon from 1806 -10. Marie was married in 1805 to Athenasius, Count Colonna-Walewski at 19, when he was nearly 80. Their son was thought to be illegitimate (born the same year they were married) and the marriage merely one of convenience to give the old man an heir and cover-up Marie’s transgression. She hooked up with Napoleon only a year after her marriage. Much has been made about the affair. Her purported memoirs asserted that she was doing it for King and country to capture Napoleon’s affection so completely that he would help to free Poland from the influence of Prussia, the Hapsburgs and Russia. 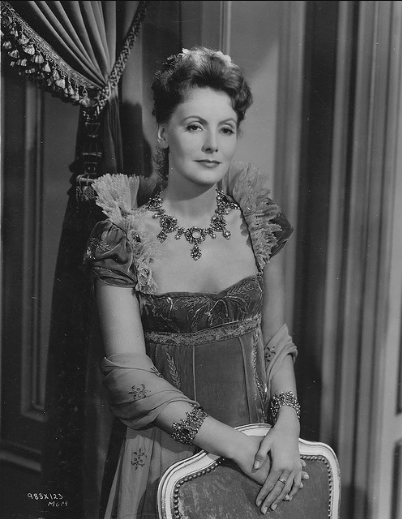 This romanticized view has been fairly thoroughly repudiated, although the splendid Garbo film, Conquest, paints a tragic love story with Marie a sacrificing heroine –– a story befitting a Garbo vehicle, accuracy be damned. No memoirs have surfaced in 200 years. 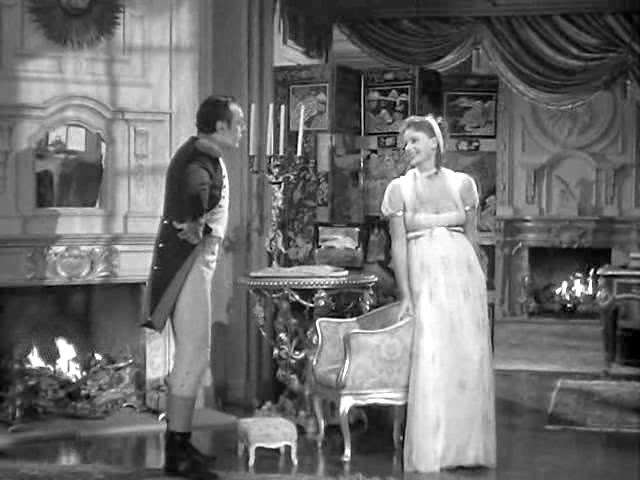 Despite the protestations of her son’s progeny (by her 2nd husband, Count d’Ornano), the 'secret' memoirs may only have been a centuries’ old excuse to gild over her rather public indiscretion and disgrace (more than just an affair, she had a child by Napoleon that her ancient husband kindly claimed as his own). Aside from illegitimate offspring, Napoleon’s Imperial orbit left many named dishes in its wake –– from the multi-layered pastry Napoleon, to the Belle Helene (a pear and chocolate confection that is out of this world) to Chicken Marengo (with egg and tomato, made on the battlefield for Napoleon who cared not a whit for food), as well as dishes named after his military heroes – like a Marshal Ney (a froth of a dessert with meringue, vanilla custard and marzipan) and of course, Sole Waleska. I am not sure when Filets of Sole Waleska first was served. It seems to begin showing up at the end of the 19th century. 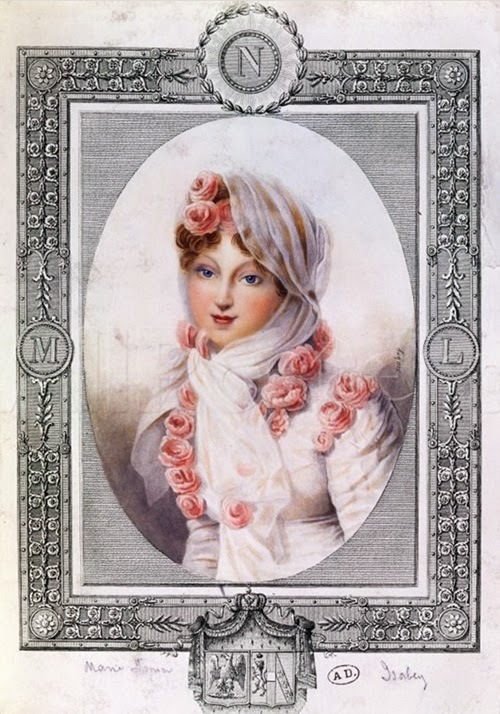 Perhaps the popular Frédéric Masson 1897 biography of the countess renewed interest in the beautiful heroine and inspired chefs to name a luxury dish after a fabled Napoleonic mistress. 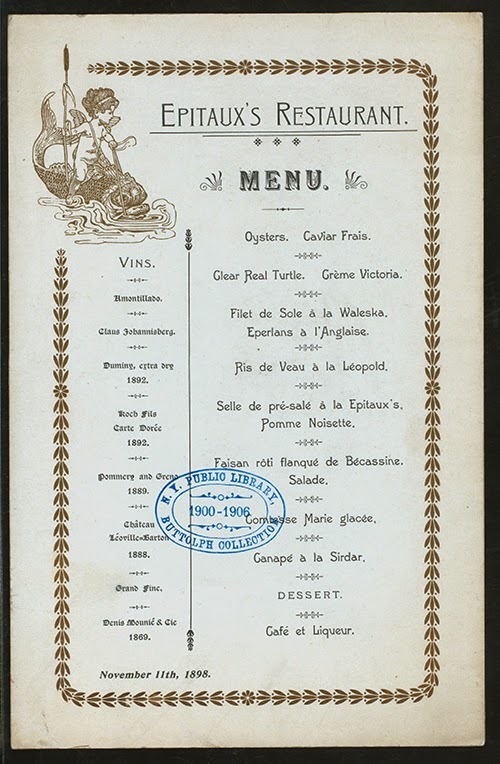 It appears in Escoffier’s 1903 masterpiece, Le Guide culinaire and in turn of the century menus (the inspiration for writing this was mention of the dish as part of a 1898 menu at Café Royal in London for the critic of the Pall Mall Gazette (also on the menu, noisette d’agneau Lavallière, haricots verts à l’Anglaise, parfait de foie-gras and caille en cocotte). One taste and you see why it was used by a restaurant to impress its patrons and honor a famous beauty. There is something in a name after all. Heat oven to 350º. Gently sauté the lobster tail for a few minutes. Lay the sole topped with lobster tail in a buttered baking dish. Pour the fumet and lemon over it and warm slightly on top of stove. Place, covered in foil, in the oven for 10 minutes. Remove from the oven, and pour off the liquids. Preheat broiler. Then reduce the liquids till thickened. Add the reduced fumet to the Mornay. You can leave the tails whole or slice a large one in 2, lengthwise. Pour Mornay over the fish and broil till lightly colored. Add the fumet to the béchamel and reduce a little. Add the Parmesan and gruyere and stir till smooth. Heat the milk and simmer while you melt the butter. Add the flour to the butter and stir over low heat till all bubbly. Do not let it brown. Strain the milk. Pour the hot milk slowly into the flour mixture, stirring all the while over a medium heat till all the milk is used and the sauce is thickened. Add the cheeses and set aside. Oh Deana, a delicious read as usual. 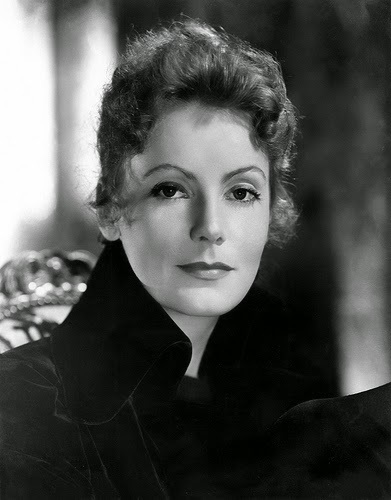 And Garbo was the perfect face and embodiment of the stunning Walewski! You are a food poet. You take the forgotten and elevate it to new levels to help us readers taste the flavors long gone. Oh how I love your work. I just saw your comment over at my blog. It was truly moving to read your refined style, to read what you said. I honor your opinion, for you have been a writer for much longer than I have, and I am suspecting that you are much younger than I am! But what you said about my style, I truly take in to heart. I have this crazy idea. If only for the sake of personal satisfaction, I want to take my writing to new levels. Blogging, though it was a pivotal point in finding that voice of mine, has now brought me to a point of reexamining how I spend my limited time. With work and a poetry group that I host, I started to find myself with less time to read the great poets I need to read. But one thing I've learned: the poets I adore the most are those whose voice is as pure as can be to allow the poem to breathe. The poet's style and choices should be like clear water to allow a reader to see the depths as clearly as possible. An honest voice, a gentle wisp IS what is necessary for all types of poetry. Thank you for commenting on that. Now for your recipes! I can say the same about you. You peel back the past for us, you bring the pure ingredients to the forefront, you allow us to taste for ourselves through the background history of these inventions. That's poetry. Much love to you - OH! I am working on taking my best blog posts, copying them onto word documents, using my own photos, and self-publishing. Keep me on your radar, for I am not totally gone...I will be back. Interesting story and I look forward to more in this series. I haven't made anything like this in a very long time. 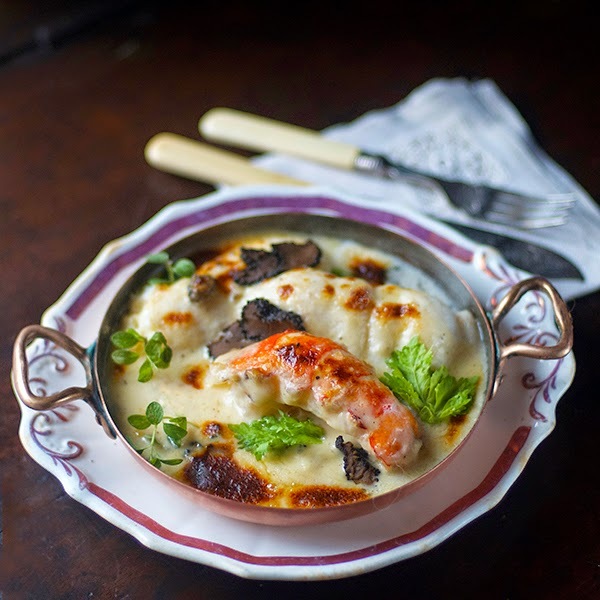 I love Mornay Sauce and of course, seafood. That sounds insanely delicious! I don't know why but i've always been fascinated by the age of the courtesan and their (generally rather tame) biographies & autobiographies. I guess I'm always looking for the juicy ones that don't exist! A very interesting story and delicious recipe! Who needs pasta with that lovely sauce. Fun post, Deana, and a history lesson besides. I really look forward to reading more posts in your new series. Very clever idea and we'll all benefit from your marvelous love of history. Such a delicious dish, too! Have you seen Conquest? Wonder if Netflix has it? It never occurred to me that there must be a "Tetrazinni" for whom that chicken was named. This was another thought provoking post, Deana, and, of course, a delicious looking dish!